Apple's estimated shipments slipped from 3.4 million to 2.53 million, said research firm TrendForce. That put Apple in sixth place with a 7.1 percent share, down from 8.8 percent in Q1 2015. In the most recent quarter —Q4 2015 —Apple controlled fifth place with 9.7 percent. In that short-term shift, Lenovo rose from second to first place, taking 22.2 percent of the market and displacing HP, which saw its share dip 0.5 percentage points to 20.4 percent. The company that usurped Apple was Acer, which rose a spot despite its share sliding from 7.8 percent to 7.3. Apple remained well ahead of Toshiba and Samsung, whose marketshares sat at just 2.4 and 2.2 percent, respectively. TrendForce suggested that Apple suffered in the March quarter because it didn't have any new MacBooks ready, yet also wasn't offering any discounts. Apple's competitors, meanwhile, were putting out new PCs based on Intel's Skylake platform and taking advantage of Windows 10 adoption. 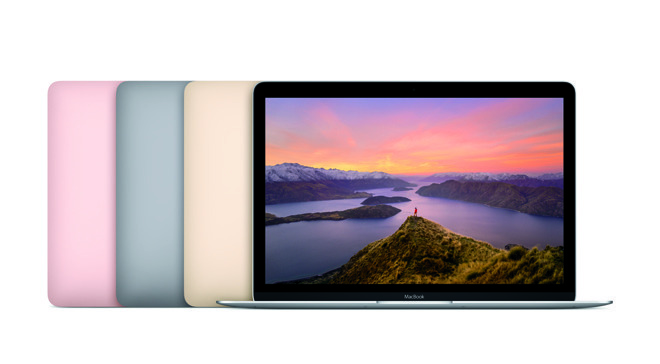 Apple did put out new laptops in April, but these were limited to a modest 12-inch MacBook upgrade, and the 13-inch MacBook Air getting 8 gigabytes of RAM by default. The Pro line has yet to be updated, and might have to wait until Apple's Worldwide Developers Conference in June.